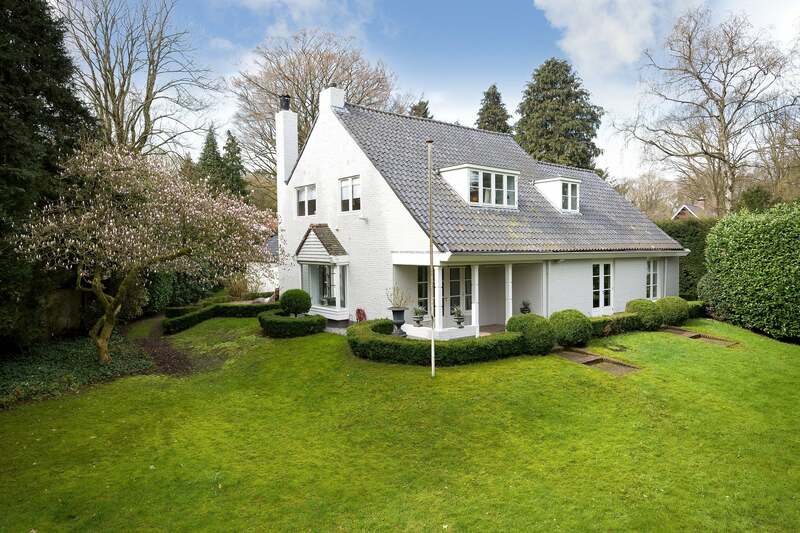 This spacious country house with large garden is located in a very lovely and quiet neighbourhood in Laren. The property is nearby nature area ‘de Zuiderheide’. The cosy center of the village, Secondary school ‘Laar en Berg’ and bus connection to Hilversum Central Station are easy reachable. The private garden hardly needs any maintenance and has 3 terraces, a garage and a carport. Ground floor: entrance/ large hall , wardrobe, entry to boiler room, toilet, spacious guest room with private bathroom with sink and shower, study, passage to living room. The living gives access to the porch with French doors. The porch has a beautiful view over the garden. The dining room has a large closet along the wall. The modern kitchen has several appliances (stove, dish washer, fridge, micro-wave and Quooker). Utility room has connection for washing machine. First floor: Landing, large bedroom with sink, second large bedroom with sink with passage to walking closet and passage to bathroom with bath, double sink, second toilet and floor heating and passage to master bedroom as well. This bedroom has French doors to balcony. Second floor: attick with storage space reachable via stairs. The beautiful private evergreen garden with low- maintenance has 3 terraces, of which one is covered and has infra-red heating. Automatic watering. - Bus connection to Hilversum central station.